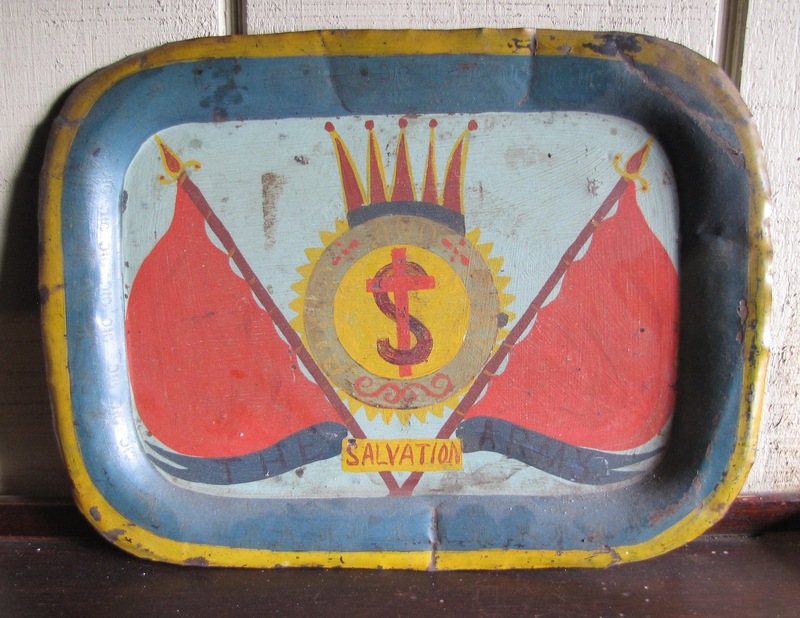 A painted tole tray - THE SALVATION ARMY. This was found in at a local estate sale about 25 years ago and I was drawn to the naive hand painting and strong graphics. Bold colours and with wear appropriate to the period and use. The words Blood and Fire are written around the centre circle. Dimensions 12" by 9". Not your typical Christmas present but great for a folk art collector.